Earlier in the month, your chivalrous author was at a bar when a woman used several Satoshis (fractions of one Bitcoin) to purchase him a drink. While the trend of women purchasing drinks for others who catch their fancy is increasingly commonplace, her method of purchase, cryptocurrency, remains exceedingly rare. Coindesk just released its quarterly analysis of crypto-currency innovation. 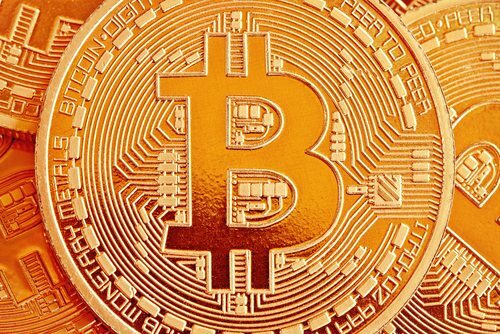 Bitcoin is now six years old and, while it has certainly succeeded in attracting attention, it has not enjoyed the same degree of success in terms of wider adoption. The currency is projected to total 12 million users (as measured by the number of Bitcoin wallets) by the end of 2015. While such numbers indicate the early stages of a vibrant ecosystem, they are far from enough to reach the ‘tipping point’ of mainstream consumer acceptance. Bitcoin’s users remain surprised that the currency continues to struggle with greater global adoption, as it offers a much more efficient and cost-effective payments solution than traditional debit or credit cards, and enables consumers to bypass many unnecessary fees. Those who are frustrated with processing fees from Paypal, Visa, or Mastercard are more than happy to leave those systems behind since they are not necessary when purchasing a product with Bitcoin. Cross-border wire transfers and remittances are another industry in dire need of disruption. The total amount of global remittances will equal US $600 billion in 2016 according to the World Bank. Western Union and other money transfer operators (MNOs) often charge exorbitant fees for remittances that can run as high as 20% (or even more). Given that the people who remit funds back to their families in distant lands are often among the world’s most vulnerable and poorest consumers, innovations like Bitcoin should be more than welcome. Many retail and e-commerce businesses are moving quickly to introduce technology and processes that enable them to work with Bitcoin. Both large and small businesses – from the Fortune 500 to local bars and pubs – now accept payments in the new currency. As of the end of Q1 2015, more than 88,000 merchants accept Bitcoin worldwide. Bitcoin is also becoming increasingly prevalent in the financial services industry. Traders are attracted to the currency because of its high volatility. In response, Wall Street has developed a variety of financial products that are tied to Bitcoin’s market price. Futures and options contracts are now available on Bitcoin and other crypto-currencies. But even if Bitcoin and other cryptocurrencies are never commonly used by the general public there is reason to be optimistic about the ecosystem’s future. 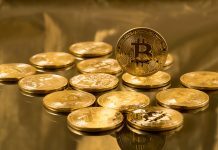 Over $650 million in venture capital investment has been channeled into crypto-currency startups to date. According to Coinbase, this amount is equivalent to what internet startups received through 1996. Frontera CEO Kevin Virgil recently spoke with George Harrap, an entrepreneur based in Hong Kong and CEO of BitSpark about his business, the status of the cryptocurrency ecosystem, and the future of Bitcoin. BitSpark is a company that has pioneered the world’s first blockchain powered end-to-end remittance service. Bitspark’s platform allows users to send money via Bitcoin – importantly, users are never required to open their own Bitcoin wallet or handle the cryptocurrency. Instead, just as one would with a conventional money transfer operator, a customer provides the cash for international transfer, and the recipient picks it up in their local currency. The transaction is instantaneous, so Bitcoin’s volatility has a negligible effect on the transaction value. Costs are a fraction of what consumers expect via traditional methods. BitSpark charges a 1% remittance fee, which is quite attractive when compared to Western Union where transaction fees can reach over 20% depending on the amount of funds being remitted, and the destination. 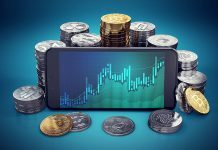 Many investors are ignoring the currency, and focusing more on the potential of the blockchain – the decentralized public ledger that is the technology’s most novel innovation. In the future, a blockchain might be used to record how people spend ‘regular’ money. It might be used by parents to prevent their children from buying certain products, or to prevent currency from being used for black market purchases. Blockchains can even be used to ensure fair elections, by preventing votes from being digitally manipulated. In the private sector, they can be used to trace ownership of assets like boats, houses, and cars. If you think that any of this sounds too farfetched, consider that the Philippines is already introducing an e-version of its currency built on blockchain technology. Those who work in banks or governments often warn against the dangers of owning cryptocurrencies. However, skeptics argue that those who benefit the most from the status quo are invariably those who are most resistant to change and innovation. Whatever the future holds for Bitcoin and its related crypto-currencies, it is increasingly apparent that this technology is about to transform our world.